How to Reduce Computer Fan Speed Safely . Every computer and laptops comes with in build three fans , these fans are used to keep your computer central processing unit ( CPU ) fan by operating in various Speed as per computer's central processing speed ( CPU ) Temperature . .Some time your computer Fans Speed up to max speed after using it for long periods of time for few minutes only then its normal process . When you run computer for long time Obviously you computer gets heats up and then your fans runs to keep your computer's depending upon your computer's central processing unit ( CPU ) Temperature . 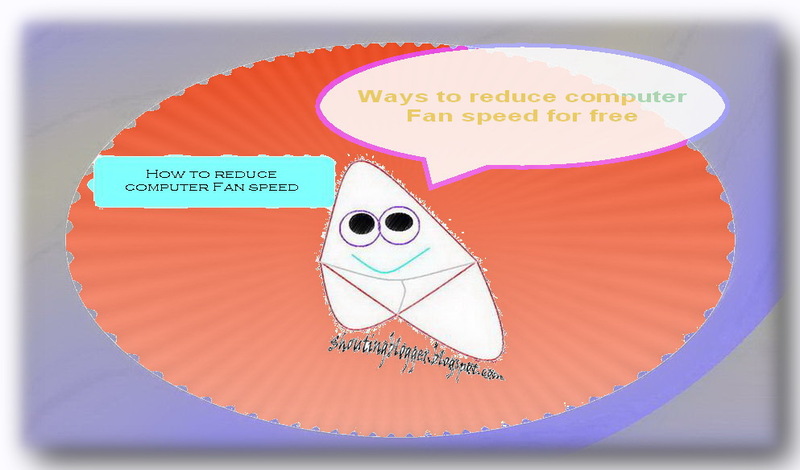 However if your computer Fan does run to max speed randomly and more often ( Example : while running pc for short duration of time ) or when your cpu fan always on high , Making annoying sound , This article is basically about Reducing Fan speed of your computer without harming your computer central processing unit ( CPU ) safety . Is it safe to turn off the CPU fan of my computer and Laptop ? Absolutely No ! Computer Fan is the important part of your computer which was embed in three Sensitive areas of Cpu in order to keep your computer cool and avoid damaging of your Cpu parts like motherboard , processor , ram , video cards since all the CPU parts are made up of various small electronic devices like resistor, capacitor , Inductor, transistor etc which operate at low temperature and bears only Few volts and fixed temperature limits . In case your computer's Cpu temperature exceeds Above these electronics devices temperature limitation then these electronic device may get damage due to which your computer's CPU parts like motherboard ,Ram ,Cpu may get damaged . Ways to Keep Yours Fan speed low . If your computer Cpu fan won't slow down and running fast and loud to full speed for long time while playing game or while running heavy software then you computer needs a bit maintenance . You can fix your Computer's central processing unit ( CPU ) fan speed by hunting Down all problematic areas of your Computer that cause's Loud fan speed . 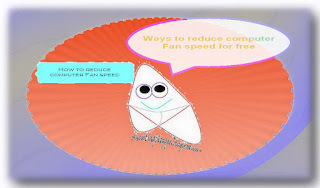 Install Fan Controlling Software that can help's you to control your fan speed . 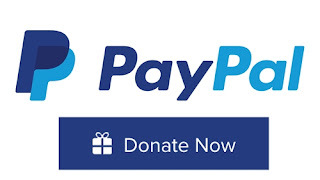 There are various Fan Controlling software available for download which can helps you to control your fan speed but most important things While using your Fan Controlling Software is to ensure that you don't just mess-up you Cpu Cooling function .Use Fan Controlling Software with utmost care because it can risk your Computer Cooling system . Avoid Storing data to your hard disk to its 80 % capacity , A hard disk full of data can overload your Central processing unit ( CPU ) and Drastically reduce your processing Speed of you CPU and reduce your overall computer performance . So make sure to Remove all unwanted from your hard disk which are not of use . Check for Virus In your computer . Virus and harmful programs can utilize large part of your central processing speed , due to which your computer goes Out of memory laggy and Unresponsive Windows etc . Resulting in overheating Central processing unit ( CPU ) due to which your CPU Generates a commands to speed up CPU Fan to reduce overheating . That's Its necessarily to Install Antivirus in your computer and hunt down all virus , spyware and harmful programs from your computer ( How to Use Antivirus effectively ) . Avoid Running Two high end Programs simultaneously . You might have seen that while running some programs in your computers makes your computer Laggy and gets unresponsive as soon as your run Other programs . Avoid Running high end programs simultaneously with other programs because its may cause high Cpu usage due to which your Cpu gets heat up and can trigger your Cpu fan Speed to max . People do install programs like games and software that doesn't even full fill Minimum system requirement ,Although these kind of software runs on computer but they do create overheating as a result noisy and High fan speed .So If you want to keep your system healthy then avoid installing Software and programs that does't full fill minimum system requirements . CPU Placed in closed area like in under table computer rack without proper ventilation is more likely to heat up becuse cpu will not able to losse its heat to atmospher and due to Closed area , heat genrated by cpu itself added to cpu due to which cpu Overheats and trigger your computer CPU fan , So you must keep your CPU in Open Area like under table computer rack with proper ventilation or Open area with proper ventilation . Clean your Computer CPU Fan for proper ventilation. Computer made up of electronic devices and utilize electricity to work , Due to which static Charge Built up in Cpu attracting small pieces of dust particle . As time passes by , these dust particle deposited in Cpu fan and mountings due to which fan unable to perform cooling to its 100 % due to which your cpu get overheated and Trigger CPu fan Speed . So , its necessary to regularly clean your central processing unit's Fans for proper ventilation.